Although the Toyota HiLux and the Ford Ranger are still topping the Australian UTE sales charts, theMitsubishi Triton is comfortably sitting in 3rd place, making up for about 15% of the market. It's smaller design, 205mm of ground clearance, 24° ramp break-over angle, 22° departure angle and 30° approach angle make it one of the better off-road UTE's. And even though the Triton is rugged and well-equipped for the off-road, it still needs extra off-road accessories for protection. If nothing else, you should still probably get a Mitsubishi Triton bull bar, to protect the front end from impact and flying debris. 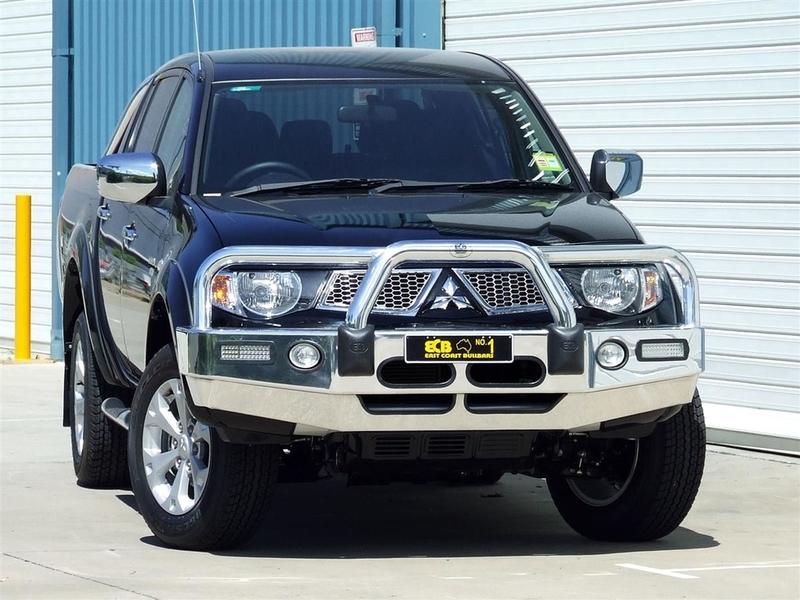 But buying a Mitsubishi Triton bull bar takes some consideration, just like buying any other vehicle accessory or part. There are millions of different types of bull bars, and fitting the right one is extremely important. 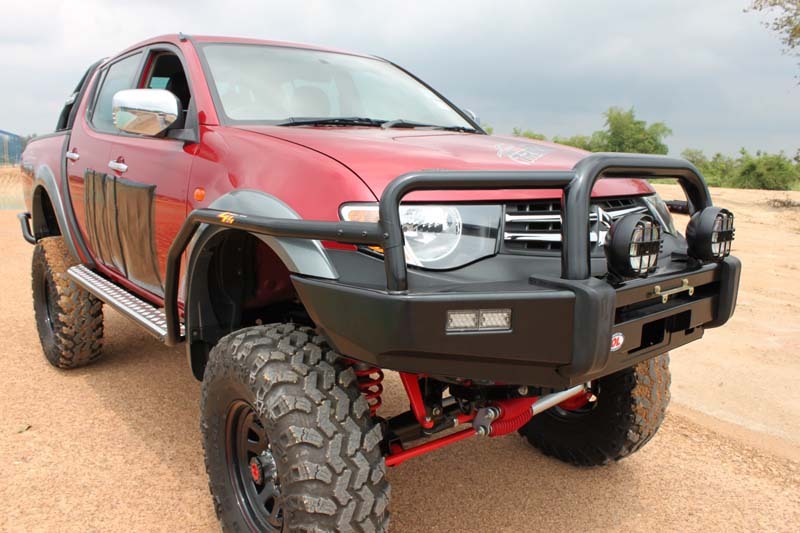 Generally, bull bars are made of durable materials such as steel, aluminium and PVC plastic. Steel and aluminium are the more popular types, due to their superior strength properties, which is arguably the most important factor to consider in a bull bar. However, plastic bull bars are the lightest, and if you don't ride in tough terrains, it may be the better option for you, since they're also cheaper. Besides the strength, the overall build quality and aesthetic of the bull bar will be two of the deciding factors in your choice. It's important to pick a bull bar that enhances your vehicle's look. However, it's more important that the bull bar you choose is built using high-quality materials and has perfect bends and welds. If you aren't confident in the bull bar, don't buy it, just look somewhere else. Furthermore, you'll have to consider whether the bull bar has rated tow points or high-lift jack points. These two features aren't found in every model, and even those that do have them are hard to notice. The high-lift jack points are usually found near the front face of the bar. Rated tow points, which are also known as recovery points, are arguably the best add-on the bull bar can feature. Having one of these means that the manufacturer has had the bull bar tested by a third party engineering company to test the tow point and rate it. If you have to choose between two similar bull bars, one with and one without a recovery point, always go for the one with the recovery point.